"I follow my nose, it always knows." 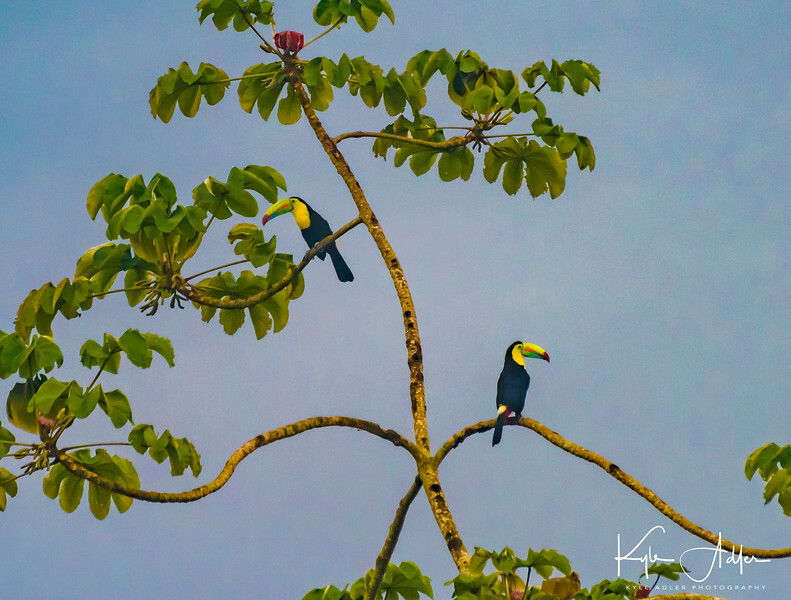 Two toucans (twocans?) in the rainforest.